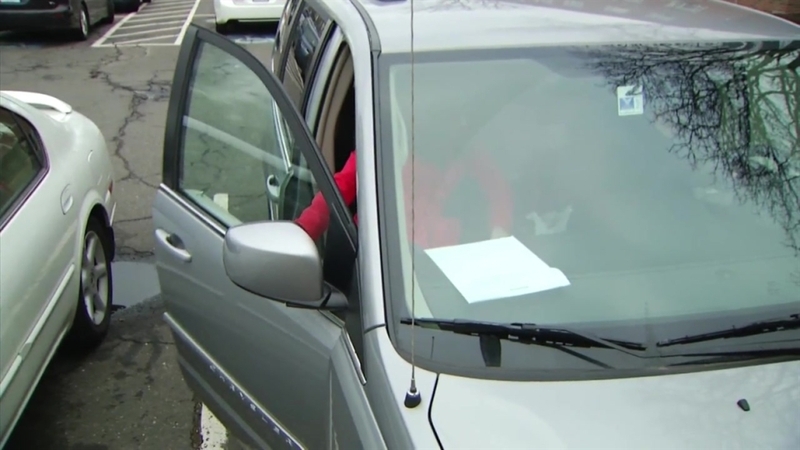 More Connecticut drivers say they're fed up, after the Troubleshooters revealed a problem with the software upgrade at the Department of Motor Vehicles. Viewers reported "false positives" on car insurance lapses causing registrations to be unnecessarily suspended. DMV Commissioner, Andres Ayala admits they're sending out more than 10-thousand letters a month to drivers from the agency's "Insurance Compliance Unit" and there is a backlog trying to get through the letters to determine which cases are insurance compliant and which cases are not. Drivers like Kari-Lyn White of Enfield say they are following the rules and still being punished. "They're missing records, and we're suffering," White told the Troubleshooters. Kari-Lyn White has the papers to prove there was never any lapse in coverage when she and her husband switched car insurance carriers, yet the DMV suspended both their vehicles' registrations recently. "It is absolutely frustrating, we're rule followers and we've always maintained insurance and everything is up to date, so to have this claim 'we didn't do our part and our lives are impeded, and its' frustrating," White added. The whites even mailed in certified copies of their coverage, received by DMV staff November 17, 2015. White stated, "I not driving right now, fortunately I'm off this week because I'm a teacher, my husband is borrowing a car, we don't want to take our cars, when registrations suspended, because we don't want any difficulties. DMV Commissioner Andres Ayala told the NBC Connecticut Troubleshooters "On behalf of the department, we apologize for the inconvenience people are experiencing at this point, but if they send information to us, we're putting more people on it." Commissioner Ayala says the agency already expanded its "Insurance Compliance" unit from seven to 12 employees, and they're working as fast as they can through mounting backlogs. "For any customer who finds themselves in situations where they're suspended, reach us directly and we'll work with them to right the wrong, Commissioner Ayala promised. It is unclear DMV officials say, which drivers have been falsely suspended until each case is verified, as being in compliance. Commissioner Ayala stated, "We're working as quickly as we can to work with some of that backlog. Prior to the new system we were averaging 8,000 letters generated, currently we're seeing 11,500." He added, "We're working with the insurers and the vendors to work on the system to avoid these false positives, so don't come up prior to modernization, seeing uptick have backlog, clearing the backlog," according to Ayala.